I figured this is a good point in time to write about why I believe it is so important to generate as much green space as possible in big cities. Spoiler: it is more than just helping the environment! The Rain Check program ran by the Pennsylvania Horticultural Society provides Philly residents with stormwater management tools, such as this planter. by simply walking along a picturesque path, or digging around and planting marigolds. The mental health benefits of green spaces are stress reduction, reduced anxiety and risk of depression, and the list just keeps going… After all, physicians in Japan achieve great results by prescribing Shinrin-Yoku (Forest Bathing) to their patients! Reduced crime rates. Recent research from Philadelphia, Baltimore, and Youngstown, OH, suggests that even little adjustments such as starting a small container garden in a vacant lot, can reduce criminal activity in the neighborhood. 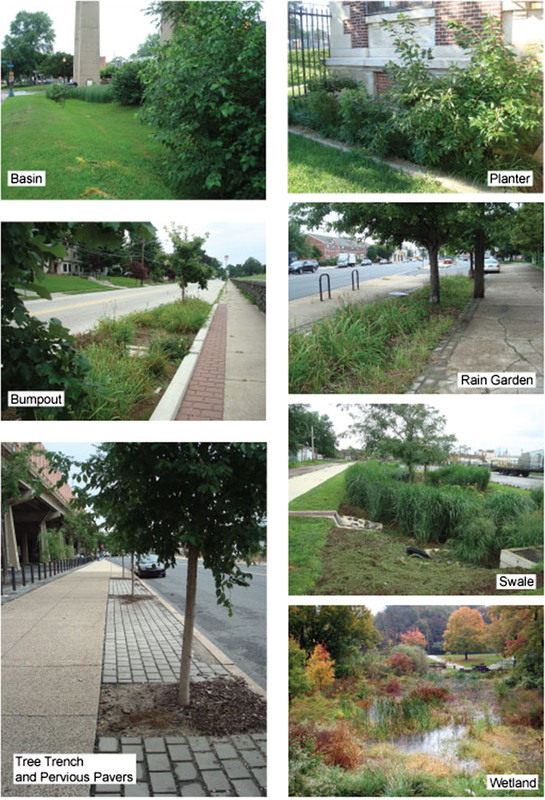 For example, when Philadelphia launched a program to convert roadside spaces into “urban green stormwater infrastructure installments”, a group of researchers from the University of Pennsylvania investigated the effect these improvements had on local crime rates. Surprisingly, they found a stable significant decrease in narcotics possession within half-mile radius from green improvement sites, which was accompanied by reduced robberies and drug manufacturing. Economic benefits for the city. According to the research from PennPraxis at the University of Pennsylvania School of Design, properties within close proximity to parks typically represent the most valuable downtown areas in the city. And even such small-scale improvements, as greening of nearby streets, tend to have a significant positive effect on property values. Furthermore, green spaces themselves, such as parks and trail systems, generate revenue for the city by attracting both local residents and visitors. Pictured here is the Rittenhouse Square, a fairly small green location in Center City Philadelphia. Yet, the properties surrounding it are the most expensive in the city. I will be making this pollinator bath suggested by http://www.gardentherapy.ca this year! More environmental benefits: pollinator health. These days, you don’t have to be a professional environmentalist to have heard about things like colony collapse disorder. It may not be that obvious, but we desperately depend upon the bees and other pollinators (hoverflies, moths, butterflies, and bats). Over 70% of the corps grown today need pollinators to thrive. A dramatic example is the almond trees in California: with the wild pollinators in poor health and low numbers, the farmers have to rent bee hives and move them from orchard to orchard to secure each harvest. You don’t have to grow flowers to support pollinators, there are many herbs (basil and mint are great examples) that attract and nurture these tiny laborers. In addition, there are other garden projects, such as making pollinator baths and insect shelters, that will be of massive benefit for the pollinators. The fun of it! (plus free produce). Gardening does not have to be a chore. Start small and see which style and size of garden suits you, and I’m sure along the way you’ll discover how satisfying it is to see something that you started as a tiny seedling grow and mature and develop into a gorgeous plant. You do not have to limit yourself: if herbs and veggies are not your thing, try growing flowers, and if that doesn’t suit you, then there are all sorts of things to grow (succulents, air plants, decorative grasses, trees and shrubs, and mushrooms, too). Just give it a try and see where the path takes you! Coronel, Alejandra & Feldman, Susana & Jozami, Emiliano & Facundo, Kehoe & Piacentini, Rubén & Dubbeling, Marielle & Escobedo, Francisco. (2015). Effects of urban green areas on air temperature in a medium-sized Argentinian city. AIMS Environmental Science. 2. 803-826. 10.3934/environsci.2015.3.803. Song C, Ikei H, Miyazaki Y. Physiological Effects of Nature Therapy: A Review of the Research in Japan. Tchounwou PB, ed. International Journal of Environmental Research and Public Health. 2016;13(8):781. Liu, J.-M & Li, S.-H & Yang, Z.-F. (2008). Temperature and humidity effect of urban green spaces in Beijing in summer. Chinese Journal of Ecology. 27. 1972-1978. Lee ACK, Jordan HC, Horsley J. Value of urban green spaces in promoting healthy living and wellbeing: prospects for planning. Risk Management and Healthcare Policy. 2015;8:131-137. Kondo MC, Low SC, Henning J, Branas CC. The Impact of Green Stormwater Infrastructure Installation on Surrounding Health and Safety. American Journal of Public Health. 2015;105(3):e114-e121. Attack of the evil squirrels!/Атака коварных белок!